An international team of researchers, led by faculty at the University of Michigan, have found that a layered form of graphene can expel heat efficiently, which is an important feature for its potential applications in building small and powerful electronics. 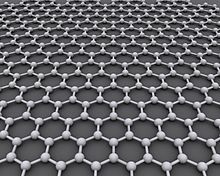 Graphene is an atomic-scale honeycomb lattice made of carbon atoms. “As you make devices smaller and smaller, you increase the amount of heat generated in a limited space, so you need to find ways to extract the heat,” said Momchil Mihnev, a doctoral student in electrical engineering and computer science at the University of Michigan and first author on the paper in Nature Communications. Graphene, a one-atom-thick sheet of carbon, has been hailed as the future of electronics because of its outstanding electrical conductivity. But a number of challenges stand between its promise and its adoption in commercial devices. One difficulty is simply producing the stuff. Arguably, the most reliable method is baking silicon carbide, a compound of silicon and carbon atoms, so that the silicon evaporates out, leaving behind a layered graphene structure. This type of graphene is most promising for electronic devices. But unlike heat in a 3D chunk of silicon, heat building up in the electrons of graphene was not expected to travel well between layers, since graphene layers tend not to interact with each other very strongly. Meanwhile, the chunk of silicon can conduct heat in any direction. Now, researchers led by Theodore Norris, the Gérard A. Mourou Collegiate Professor of Electrical Engineering and Computer Science, have shown the electrons can transmit heat efficiently between layers, enabling it to rapidly dissipate out of the 3D graphene. Mihnev explained that although the electrons in different layers can’t mechanically run into one another, they can interact through their electrical charges. The negative charges repel one another, giving the electrons an effective size that extends between the layers. When electrons collide in this way, the hotter of the two transfers energy to the colder. The heat is channeled into the graphene layers closest to the silicon carbide base because these layers had borrowed extra electrons from the silicon carbide. From there, the heat moves into the silicon carbide. “The reliability and performance of future graphene-based devices will depend critically on the availability of efficient mechanisms for the dissipation of excess generated heat,” Mihnev said. Norris’s team studied graphene samples produced by the group of Walter de Heer, a Regent Professor and professor of physics at the Georgia Institute of Technology in Atlanta. They shot a short and intense burst of laser light into the sample, causing the electrons to heat up to about 5,000°F. Then, they used a weak pulse of radiation that falls between far infrared and microwave on the electromagnetic spectrum to check the temperature of the electrons in the graphene. John Tolsma, co-first-author with Mihnev and a doctoral student in physics, and Allan MacDonald, the Sid W. Richardson Foundation Regents Chair Professor of Physics, both at The University of Texas at Austin, worked out a detailed new theory to explain the effect. “We believe that this cooling mechanism is not limited to multilayer graphene samples but is likely to be important in many other new, layered nanomaterials under active development by the scientific community,” said Norris. The paper on this work is called Electronic cooling via interlayer Coulomb coupling in multilayer epitaxial graphene. The study was supported in part by the National Science Foundation, the Welch foundation and the Department of Energy. The University of Michigan (U-M, UM, UMich, or U of M), frequently referred to simply as Michigan, is a public research university located in Ann Arbor, Michigan, United States. 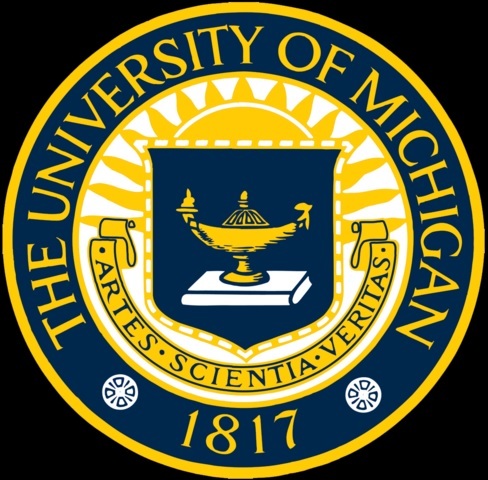 Originally, founded in 1817 in Detroit as the Catholepistemiad, or University of Michigania, 20 years before the Michigan Territory officially became a state, the University of Michigan is the state’s oldest university. The university moved to Ann Arbor in 1837 onto 40 acres (16 ha) of what is now known as Central Campus. Since its establishment in Ann Arbor, the university campus has expanded to include more than 584 major buildings with a combined area of more than 34 million gross square feet (781 acres or 3.16 km²), and has two satellite campuses located in Flint and Dearborn. The University was one of the founding members of the Association of American Universities. 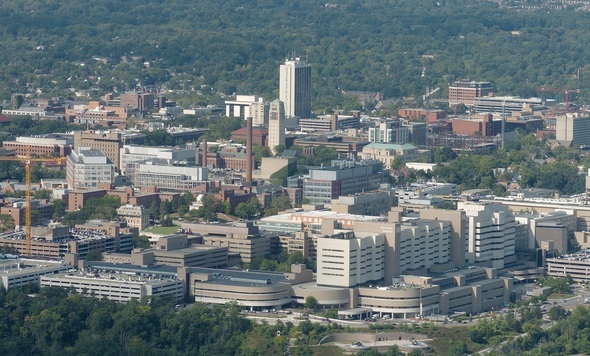 Considered one of the foremost research universities in the United States, the university has very high research activity and its comprehensive graduate program offers doctoral degrees in the humanities, social sciences, and STEM fields (Science, Technology, Engineering and Mathematics) as well as professional degrees in business, medicine, law, pharmacy, nursing, social work and dentistry. Michigan’s body of living alumni (as of 2012) comprises more than 500,000. Besides academic life, Michigan’s athletic teams compete in Division I of the NCAA and are collectively known as the Wolverines. They are members of the Big Ten Conference.